The thought of having ecologically sound showers and baths is becoming more of an attraction to many of us. Most folk think of eco showers as water and energy saving devices. This is very true. The technology linked to these designs has improved immensely in recent years and it is becoming a norm to fit them into modern housing…. From our perspective however, this can be taken a step further. Simply because water and energy saving isn’t enough. In areas where water is scarce or expensive – which by the way, is nearly everywhere nowadays – water efficiency of the actual shower or bathtub, should be coupled with garden design. Surrounded by food and functional plants; climbers bearing fruit and beautifully smelling flowers, sugarcane, lemongrass, pumpkin, watermelon, banana, cassava, papaya, palms, and bamboo are but a few of the beneficiaries of well-designed shower tolerant species we have worked with to date. Let’s cause no confusion here – a well-designed grey and black water treatment system is not what I am referring to. Not here anyway. Water treatment systems are massively important, but their complexity scares most of us. I am simply referring to showers, hand basins, and bathtubs. Systems that don’t deal with too many fats nor human waste. Now of course there is the element of being conscious about what you put down your drain. But as long as you’re not one of those who thinks washing their hair twice a day and lathering up with half a liter of body wash is the way forward, then eco shower design is a perfect way to re-use your run-off effectively without technical designs or expensive filtration systems – and this is especially true for dry climates – where soils are hardly ever saturated with water. 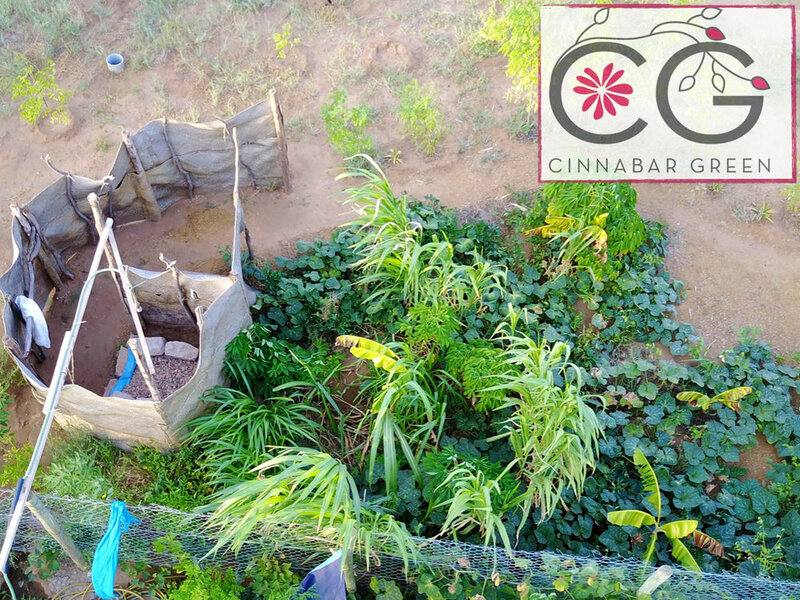 We have found that Cinnabar Green’s selection of natural soaps works a treat. Not a single species we have trialed in our outdoor showers have shown any sign of being negatively affected by the soap itself. This in part may be due to good shower design, but on the whole, their products are completely legit. Nearly every decent lodge you visit in Kenya, uses their products – and for good reason. John and Penny Horsey run an amazing business. 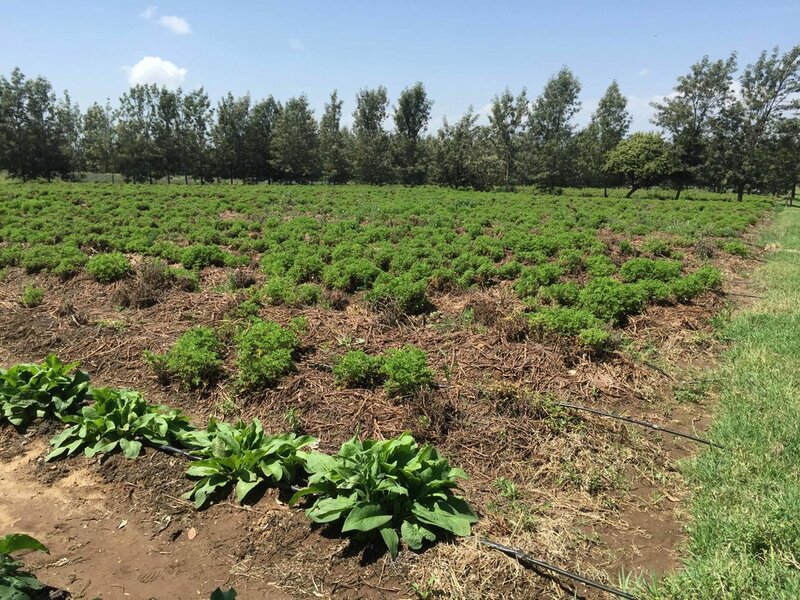 Both keen farmers and environmentalists, their farm on the foothills of Mount Kenya grows an impressive range of herbs and scented shrubs. 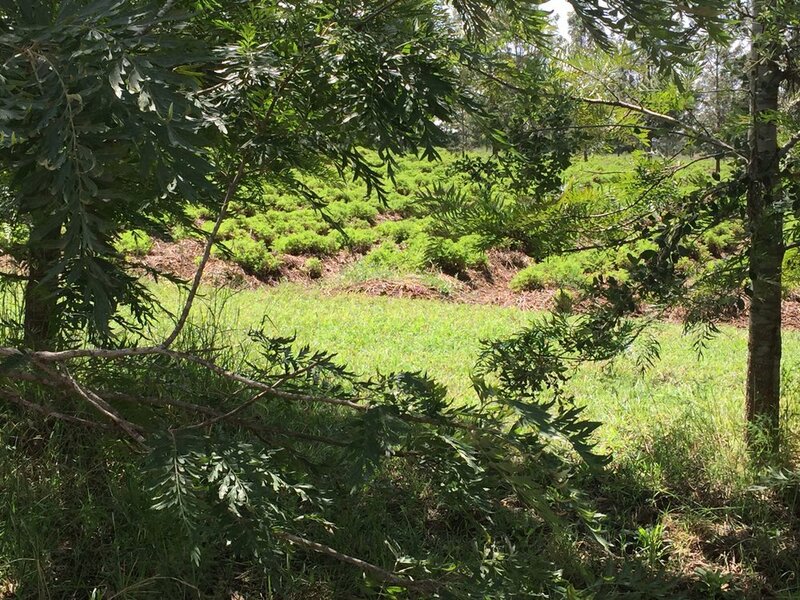 I was blown away by their amazing property; a 70-acre parcel of paradise with a forest of indigenous trees, grasses, shrubs – an impressive 7-acre farm, a beautiful house, and a well-run factory. I had the suspicion it would be an amazing operation and had visions of wandering through their fields and factory with a strong concoction of spices and herbs creeping up the old nostrils – and that’s exactly what it was. As you do, I left the lovely couple in peace and parted with a good 20 liters of natural shampoos and body wash to last us the rest of the century. Visit our site in Turkana this year by applying for our Voluntourism opportunities every month. To find out more follow the button below.